Ideal for larger offices, print shops and associations with high demand folding projects. 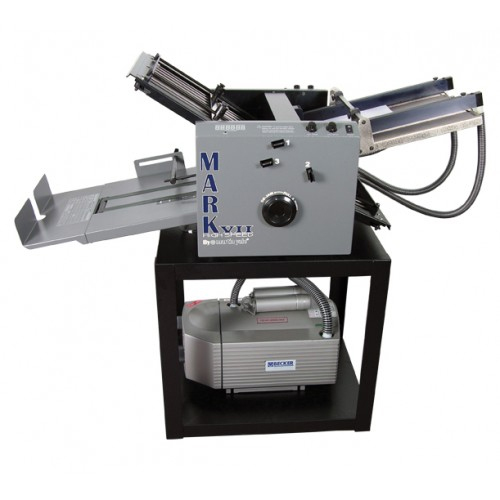 Martin Yale Mark VII is a premium folding machine that is capable of folding up to 35,000 sheets per hour, with a feed table capacity of 300 sheets. Removable cartridges allow for perforation and scoring.